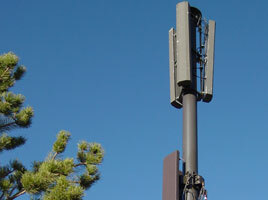 Wireless phones work by sending and receiving radio signals to a nearby cell site. Obstacles such as buildings and trees interfere with the signals. Generally the closer your phone is to a cell site, the better your chances are to being able to make and receive calls without being cut off. If you will be using your phone inside large buildings, it is beneficial to choose a wireless provider that has cell sites near the buildings that you will be most using your phone. Most carrier’s published coverage maps show general, regional coverage areas. Click below to show maps of specific cell site locations. 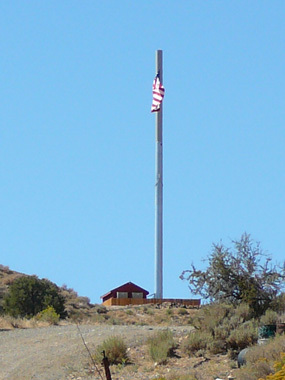 Cell site locations have been obtained from personal research using drive tests and from publicly available government information. This website’s author assumes no liability from the information provided, and do not guarantee its current completeness or accuracy. The list below is in order of number of known cell sites serving areas within the Reno/Sparks city limits. 12/14/18: Newly discovered AT&T site on the east end of Trademark Drive – near South Meadows Pkwy and Wilbur May Pkwy. 11/13/18: New Verizon Wireless monopine at the NDF Galena fire station. 8/13/18: 4 new Verizon cell sites that are either active or imminently active. The sites include: S. Virginia & Brinkby, Vassar & Yori, Wedge Pkwy near Mt. Rose Hwy, and Cold Springs. 7/24/18: New T-Mobile cell site at Vista Blvd & Los Altos Parkway in Sparks.